How do I pick a Domain Name for my Author Website? Picking a Domain Name for your website is an important step. There are several possibilities to consider. Should you use your “Author Name” (the name on your book’s cover), your Book’s Title, or your Self Publishing Company Name? Check out the Get Your Domain Names on the “Starting Your Own Website” page. There is a link to a PDF download, and a link to watch a video webinar to help guide you in pick your website Domain Name. What do I get with my Standard Website Package? The Website design is based around a WordPress framework which utilizes a vast array of Themes and Plugins to help give your website the look, feel, and functionality you desire. What is Web Hosting and Do I need it for my Author Website? Web Hosting is just as important as a Domain Name. They go together. Web Hosting stores all of your website’s content, images, files, and other data on a shared server. 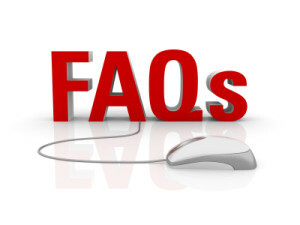 For more information follow the link to get your Questions Answered about Web Hosting. How does my shopping cart get set-up? Silver Knight Author Websites is here to help. We can configure and setup your shopping cart for you. We have a form to be completed that collects information about your products, prices, taxes, preferred shipping methods, etc. For more information on what steps that are performed for the setup/configuration of the shopping cart, check out the Shopping Cart Setup/Configuration on the Website Enhancements page. I just sold a book through my website. Now what happens? When keeping a supply of books on hand, check with your supplier to see if you can get quantity discounts. This is also a good idea so you can sell your books directly to people that you meet face to face. Can I sell eBooks from my website? Yes you can. Each of the recommended shopping carts allow for secure digital delivery for eBooks. This is the easiest process for authors. There is nothing the author needs to do for eBook sales. The shopping cart will handle all the details. You will receive an email order notification, and your customer will get a link to download the file to their computer. Your customer can then copy the eBook file to their eReader device, this is also known as “side-loading” the eReader. They should check with their specific manufacturer on how to copy files onto their devices. Google and YouTube can also provide many tutorials for doing this for a specific device. Yes, as of January 2018 Google will start to show websites as Not Secure. This is Google’s attempt to make the internet safer for everyone. The SSL Certificate stands for Secure Sockets Layering. It basically encrypts any data or information before it is sent to your website visitors web browser from the web server. The SSL will decrypt the data or info before it is displayed or given to the web server to process. So when someone enters their Name, Email, and Message on your Contact page, their info will be encrypted before it’s sent to the web server for processing. You can get a SSL Certificate from the Silver Knight Web Store.